Veteran Rasen MP Sir Edward Leigh will this year face his eighth general election campaign. Though UKIP are expected to be a bigger influence this time round, Sir Edward says the ‘big difference’ for 2015 is the fixed term parliament means knowing polling day well in advance, giving parties time to plan for the campaign and ensuring voters are registered to vote. 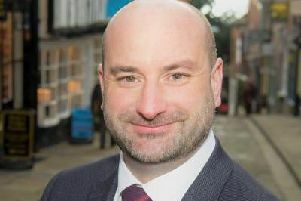 The 64-year-old has been siding with constituents on issues like wind farms and the Central Lincolnshire District Plan, which has sometimes meant the MP clashing with his party locally as well as nationally. There will also be THAT issue of Europe.